For me some of the most ultimate comfort foods come from breakfast recipes. Don’t get me wrong, I love a comforting pasta dish, anything with melted cheese or some hearty soup… but breakfast foods have my heart. 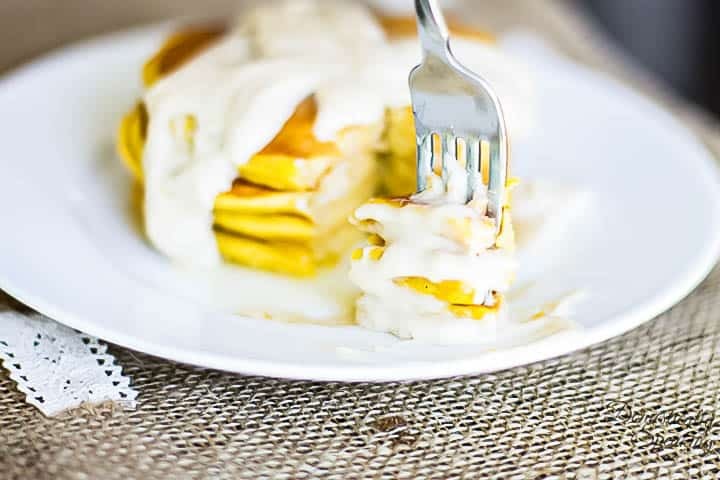 These Pumpkin Spice Pancakes that are made with Greek yogurt topped with a Cream Cheese Maple icing and they are just are delicious! Like be-still-my-heart delicious and perfect on a chilly fall morning! 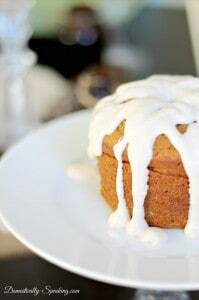 I adore pumpkin recipes, in fact, you’ll find a ton on my site. I love that this has Greek yogurt (extra protein is good). Of course, lavished with the cream cheese maple icing it’s almost like a dessert, but they are delicious without the icing too. I think you and your family will love them too! 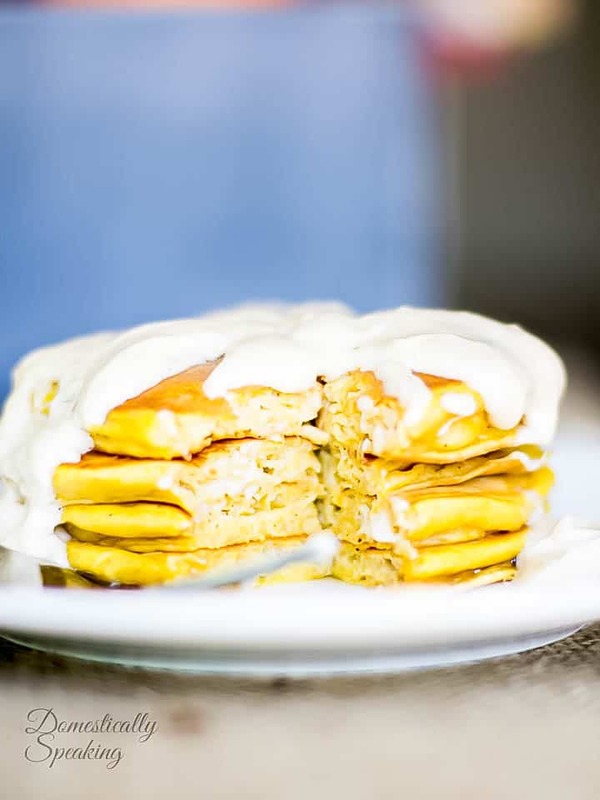 A fall favorite perfect for a weekend morning - Pumpkin Spice Pancakes with a Cream Cheese Maple Icing. Combine dry ingredients in a bowl: flour, baking powder, sugar, salt. 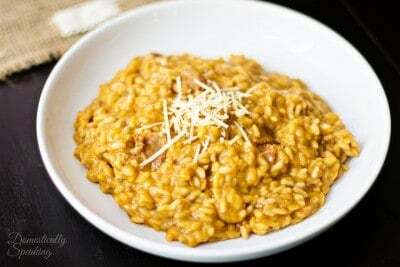 In another bowl whisk together oil, eggs, vanilla, yogurt, milk, pumpkin, cinnamon, cloves and nutmeg. Gradually stir in the dry ingredients into the wet. Heat a griddle for a few minutes over medium high heat until it's hot. Use a ladle to spoon the batter onto the griddle. Cook a few minutes on each side till nicely browned. In a mixer cream the cream cheese until soft and smooth. Drizzle in syrup until you have the consistency you want. You can make it as thick or thin as you like. 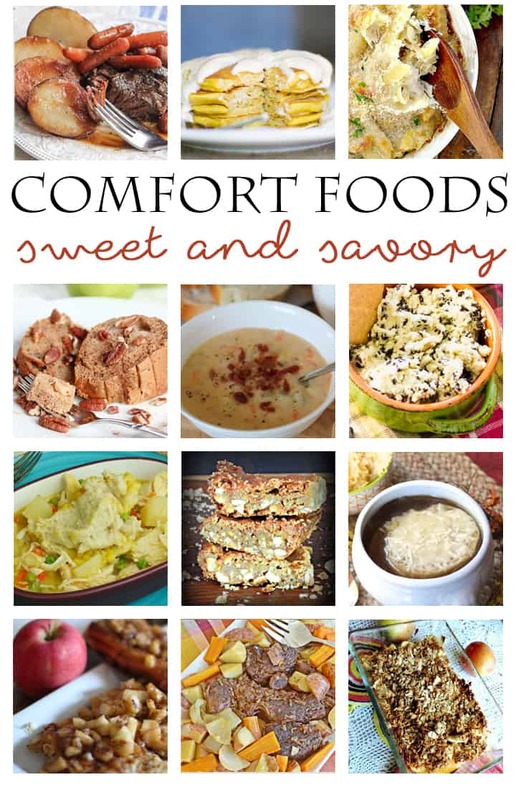 I’ve teamed up with some amazing other bloggers to bring you guys some amazing comfort foods… both sweet and savory… so make sure to check them out below! 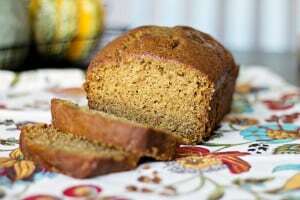 Such a great Fall breakfast treat! Thanks for linkin’ up with What’s Cookin’ Wednesday! These pancakes look delicious. The sweet, creamy topping looks like a must-try. Thank you! I am speechless! With drool running down my chin! We are having waffles tonight for dinner with a fruit topping, but now I’m going to add the maple cream cheese too! Pinning, next time we will make the pumpkin spice pancakes, they sound delish! Thanks so much for sharing!!! My hubby would go crazy for these! 🙂 This looks like one fabulous recipe!! I love fall inspired food! 🙂 I would love for you to stop over and say hello! Maryann these look amazing! 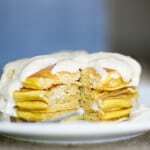 We have breakfast for dinner a lot and I know my hubby and daughter will love these! Pancakes are like my kryptonite, Maryann! They are one of my favorite foods and these look so fluffy and delicious. I can’t wait to make these on a Sunday before the holidays for my family. Oh my goodness! It is like Fall in just one bite. My family will LOVE this recipe. Comfort food at it’s best! Thanks Malia! They are so darn good! Oh my word! I’m definitely going to make these soon! 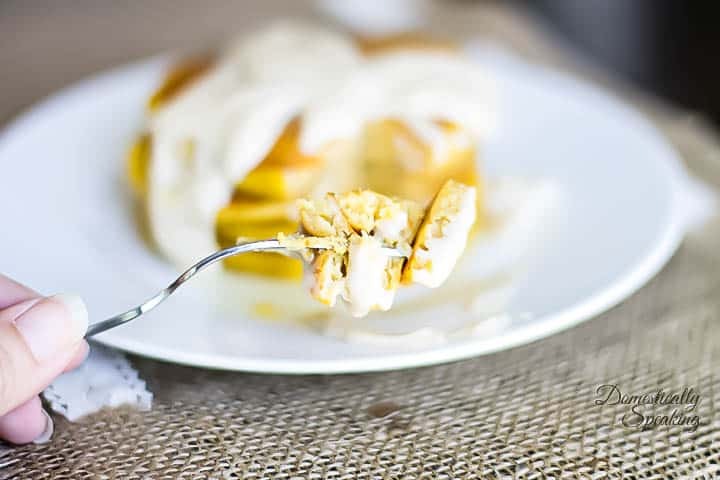 Love the idea of the extra protein with the Greek yogurt, and combining cream cheese and maple syrup must be a match made in heaven! Pinning and sharing! So brilliant to pair cream cheese with maple syrup! Oh man, those must be so good. What a yummy way to start the day! I’ll definitely be trying these! Hope your family enjoys them Jenn! Yummy ! My boys will love this recipe! Pinning!